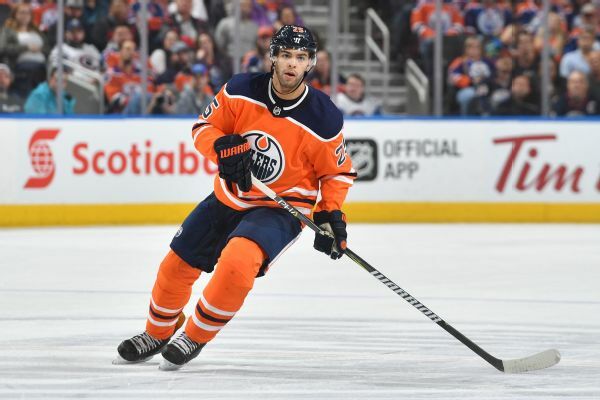 Top Oilers defenseman Darnell Nurse has re-signed with a two-year "bridge deal" that will keep him in Edmonton until the team can free up cap space and potentially sign him to a longer-term contract. 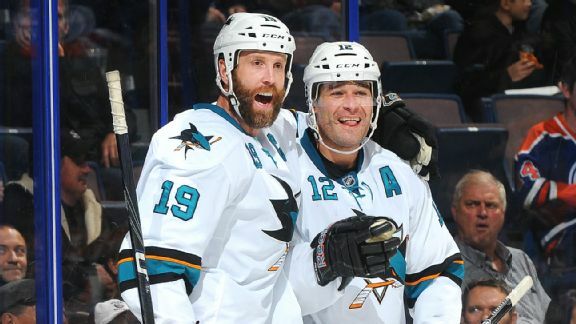 Will the Sharks keep franchise cornerstones Joe Thornton and Patrick Marleau -- or lose Jumbo Joe to a rival? With Connor McDavid reportedly locked up with a record-setting extension, the Oilers turn their attention to re-signing Leon Draisatl. 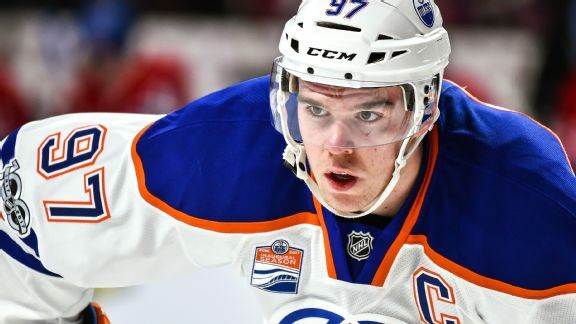 Connor McDavid knows previous accolades mean nothing in the playoffs, so he still has plenty to prove. "He's our unquestioned leader," Oilers goalie Cam Talbot said. "Where he goes, we go." 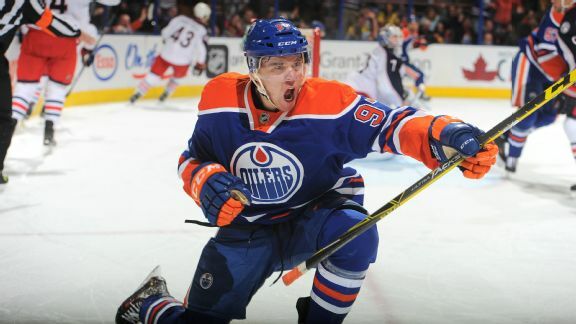 This could be the season the long-awaited Oilers turnaround comes to fruition -- provided a "more confident" Connor McDavid takes charge on offense and new addition Adam Larsson shores up the D.
Oilers defenseman Darnell Nurse has been suspended three games by the NHL for being the aggressor in a fight. 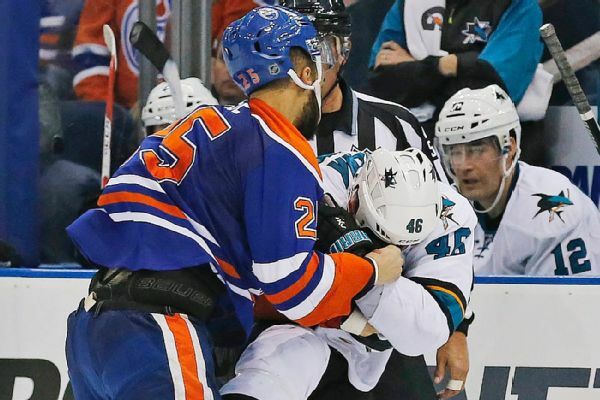 Parents of Darnell Nurse wrong to cheer him in fight? 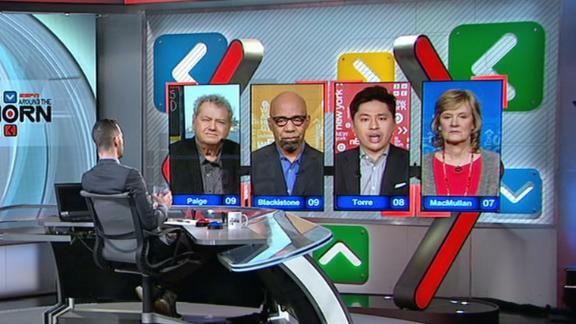 The Around the Horn panel reacts to Oilers' D Darnell Nurse's parents cheering him on during a fight against Senators' F Max McCormick. No. 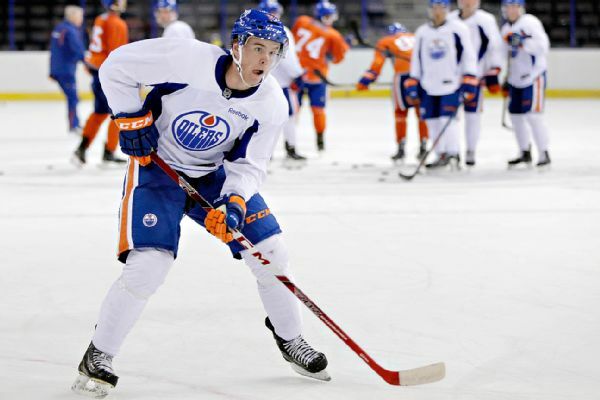 1 overall pick Connor McDavid had a goal and an assist for the Edmonton Oilers in his professional debut Friday night, an 8-2 victory over the Vancouver Canucks in the Young Stars tournament. The 2015 No. 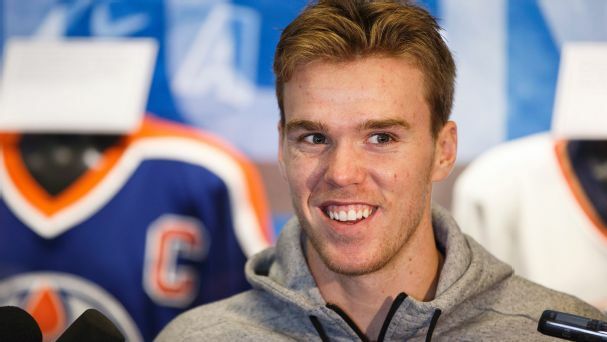 1 draft pick, Connor McDavid, skated with new Oilers teammate and former top pick Taylor Hall, who was impressed by McDavid's speed and experience. 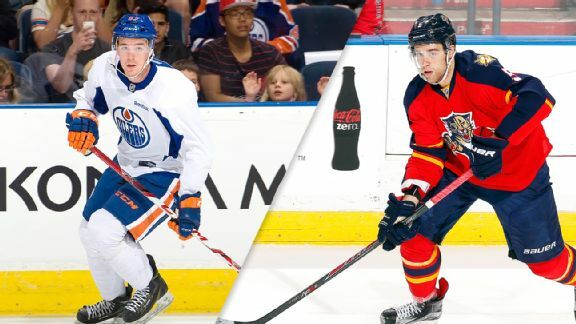 When should you draft Connor McDavid and Jack Eichel in fantasy this season? Matthew Coller examines the value of a handful of top rookies and sophomores.